Barcelona midfield general Sergio Busquets appeared to pick up a deliberate fifth yellow card of the season in their 1-0 away win against Celta Vigo, meaning he will serve a one match ban in their match against relegation threatened Almeria. 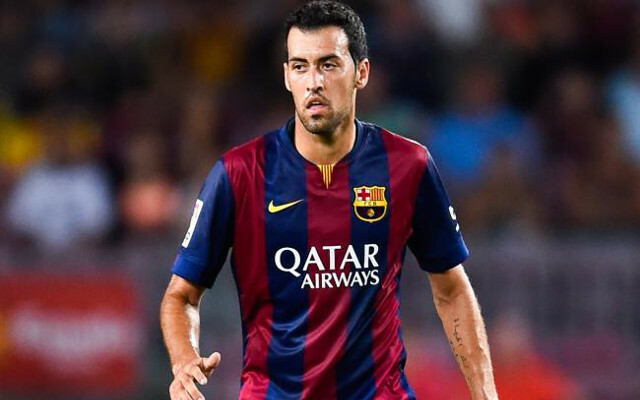 Getting the suspension out the way will mean Busquets is free to play against Sevilla, Valencia and Espanyol who are all fighting further up the table. Both Enrique and Busquets denied that the manager had told him to pick up a caution on purpose, but in a video from the match the Catalan giants’ manager can clearly be seen gesturing towards the holding midfielder. It’s a tactic that Chelsea manager Jose Mourinho has been accused of in 2010 when in charge of Barca’s rivals Real Madrid, when Xabi Alonso and Sergio Ramos earned time wasting suspensions when comfortably leading the first leg of their Champions League tie against Ajax. Following the 1-0 victory La Liga in Vigo, Barcelona are four points clear of nearest challengers Real Madrid at the top of the league, after Los Blancos hit Granada for nine in the early match. Following a disappointing campaign last season where the league title went to Atletico Madrid on the last day at the Nou Camp, and Real Madrid won their 10th Champions League trophy, the Catalan side look set for the league title and are still in Europe’s top competition.